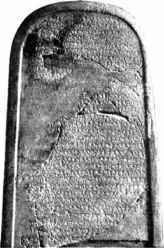 In 1868, a stone was uncovered in the biblical city of Dibon, on which was recorded victories over the Israelites by Mesha, king of Moab. MESHA STONE Battles between Israel and this same Mesha are also recorded in the Bible. 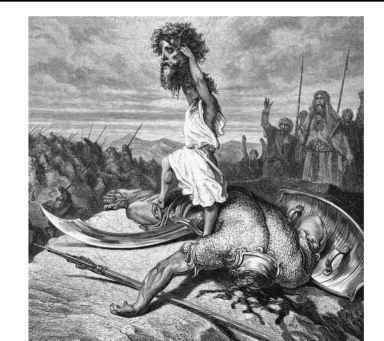 It is uncertain whether the victories on the stone were recorded before or after the kings of Israel and Judah fought against king Mesha, around 850 B.C., as recorded in 2 Kings 3:4-26, in which Israel, with God's help, was victorious. 4) for he protected me from all the kings and caused me to triumph over all my enemies.